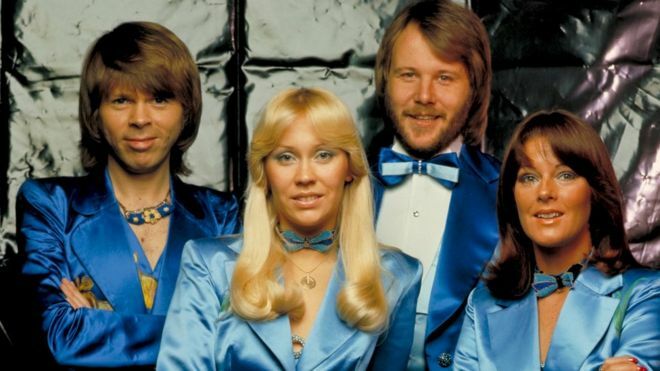 Quote: The Swedish pop group have not formally performed together since they split up more than 30 years ago but did appear at a 50th anniversary party in June. Completely spaced my mind until today's news. Looks like it's actually going to happen, the band that famously declared they'd never reunite preferring their fans remember their younger selves at their peak. They're going to release two new songs, appear as de-aged digital avatars of themselves, then the digital 'experience' will go on a world wide tour. Quote: " The centrepiece is the two-hour TV show co-produced by NBC and the BBC, which will see the band perform as computer-generated avatars. Ulvaeus said the band had been digitally scanned and “de-aged” to look like they did in 1979, when they performed their third and final tour." "The avatars are then set to tour the world from next year."